Made cool in the 1950s by the likes of Marlon Brando and James Dean, the leather jacket has since been an essential for the male wardrobe. Six-inch leather finish Jimmy Choos, Tom Ford pumps and top-handle Louis Vuitton bags soon turned into must-haves for the women of fashion, with leather making a wearable statement by the ai??i? ?90s, transcending gender, national borders and even spanning generations. Meanwhile, luxury designers like Stella McCartney have been championing the cause of animal-free fashion, looking at alternatives like muskin (mushroom leather) and pinatex (pineapple leather).Ai?? Though the case against leather maybe strong, being caught in a rexine substitute would be a faux-pas even for the not-too-fashion conscious. We catch up with five designers who are pioneering vegan sensibilities in leather in our part of the world. 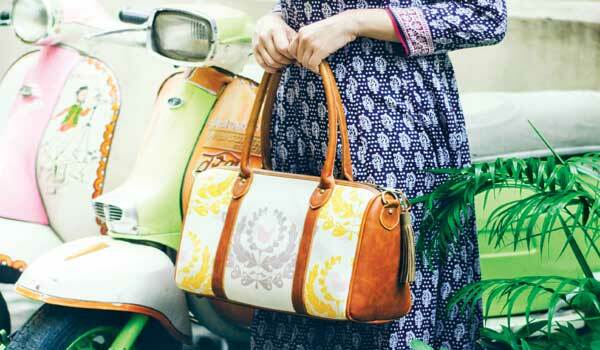 In 2015, Chennai-based duo Shivani Patel and Keshsa Vasanth launched their fashion accessory label Arture, as a part of a crowdfunding project. The brand, which retailsAi? ?bags and wallets made of cork, sticks to its strengthai??i? ?minimalist elegance. ai?? ?Our products are not too flashy. We try and stick to earthy tones of black, blue, brown and maroon,ai??? says Keshsa.Ai?? Apart from the usual wallets and handbags, they offer card holders, sling bags, passport and iPad sleeves.Ai?? Considering that medium-sized totes are in vogue this season, Arture houses reversible totes that come in black, maroon and other natural shades of cork.Ai?? Lined with organic cotton, these bags come with a detachable pouch that can be hooked onto the bag. Rs 750 onwards.Ai? ?Details: myarture.com. 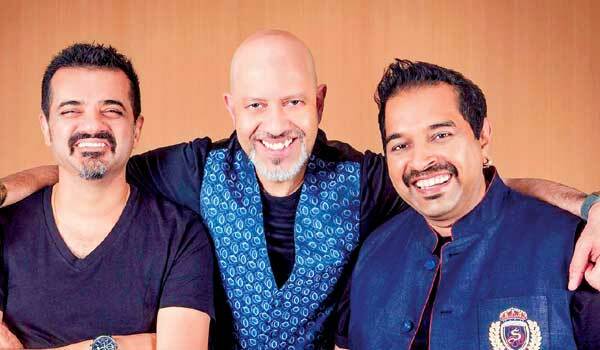 This year has been a mixed bag of sorts for Shankar-Ehsaan-Loy. While their soundtrack for Rakeysh Omprakash Mehraai??i? ?s romantic musical Mirzya came as a breath of fresh air, Rock On 2 failed to capitalise on the popularity of its prequel.Ai?? The trio also recently performed at Mood Indigo, Mumbai. On composing Shankar Mahadevan says, ai?? ?Nothing is easy if you want to do it right. When you’re singing, youai??i? ?re already in a position where the melody, lyrics and arrangement are born. When you compose, itai??i? ?s a maternal responsibility of sorts because you are literally giving birth to a new creation.ai??? something fun so we took the iconic phrase and created something completely new.ai??? Guitarist Ehsaan Noorani is quick to point out that a set ai???formulaai??i?? was in place during the golden days of R D Burman and more recently A R Rahman. ai?? ?Formulas do not work in todayai??i? ?s day and age where audiences are exposed to so much global music,ai??? adds the 53-year old musician. The two have taken to the judging on two separate shows, Rising Star on Colors and The Stage on Colors Infinity. ai?? ?We have more talent now because people are opening up to theAi? ?possibilities of singing as a career. It is being seen now as more lucrative. This however doesnai??i? ?t mean that the talent pool is diverse,ai??? notes Shankar. Ehsaan takes a more optimistic view. ai?? ?To see English singing talent coming from deep places like Mandi, Mizoram and even Rajasthan is so hearteningai??? While the duo chose to stay mum over the projects coming up next year, Shankar adds that they are waiting for a project as meaty as Vishwaroopam to be a part of soon. Wake me up before you go-go is a nostalgic wish ai??i?? with the number of legends that have bid us adieu in 2016. Some were abrupt, others plain shocking. But hereai??i? ?s something we can agree on irrespective, we werenai??i? ?t ready for any of them. Certainly not our most recent loss on Christmas day. Wham! And George Michael was gone… just like that. On the flip side, our playlists in 2017 will probably be bursting at the seams with songs that we havenai??i? ?t heard in a while. Thatai??i? ?s music for you, a fast tide of memories and melody. And the best tribute we can pay to musicians lost: Press play. This legend gave us his final album two days before he died. Beyond the music, Bowie will always be remembered for that trademark lightning bolt painted across his face and a wild sense of androgynous fashion that covered everything from sci-fi suits to kimonos. He died peacefully surrounded by family after a secret battle with cancer. Before you dismiss this musician as a not-so-recognisable face compared to the rest ai??i?? know this. He was nominated was a massive 20 Grammys in his prime. Old timers will remember him as the co-founder of the band Earth, Wind & Fire. The musician, who stopped touring in the ai??i? ?90s after he was diagnosed with Parkinsonai??i? ?s, succumbed to the illness in his sleep earlier this year. He was 74. He was definitely the oldest musician on our list. This Padma Bhushan awardee passed away at the grand age of 107, and continued to teach music until a day before his death. The maestro of Carnatic music is said to have performed in over 18,000 concerts around the world, before he passed away at the age of 86. Incidentally, he started out in the film industry as an actor, and played the role of Narada in the film Bhakta Prahalada on the request of A V Meyappa Chettiar. From Purple Rain to Musicology, this legend had us addicted to his sound and style for over 35 years. He was known for his love symbol created in protest against long time record label Warner Bros. 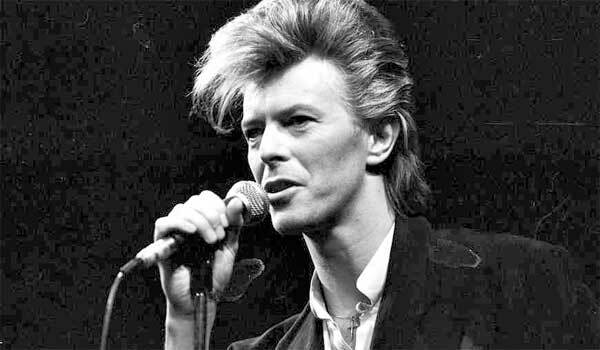 The singer passed away after a drug overdose at 57.
after David Bowie, who died at 69. It was not a Merry Christmas for those who woke to the news of his passing of heart failure at the age of 53. The boyfriend of the Grammy-winning musician posted a link of an unreleased song that fans only got to hear after his death. The tragic timing of it all hardly inspires any Faith. This Canadian singer and poet was among a niche brand of extremely influential singer-songwriters back in the ai??i??60s. So much so that critics compared him to the likes of Bob Dyan and was even referenced in the Nirvana song, Pennyroyal Tea. After a career spanning over five decades, he died unexpectedly at the age of 82. According to his son, Cohen died peacefully and had been writing till the very end. Is it a crA?pe roll? Is it a pancake roll? Is it a chapathi roll? 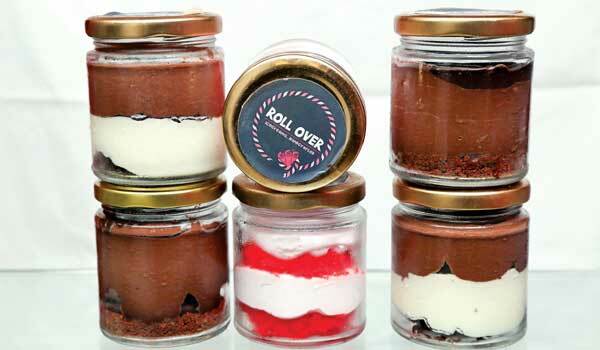 When you head over to an ice cream parlour called Roll Over, oneai??i? ?s imagination goes as far as ice cream ai???insideai??i?? a roll. Or perhaps, a doggie mascot rolling over, once the said ice cream is consumed ai??i?? thatai??i? ?s the next image that comes to mind. If thatai??i? ?s too wild for you, I did specify that this was rolled over in my imagination. Turns out though, none of the above is true ai??i?? as the ice cream ai???isai??i?? the roll. No base necessary. ai?? ?Our friends in Bengaluru who were in Thailand two years ago, saw this on the streets there and were inspired to bring it to India,ai??? 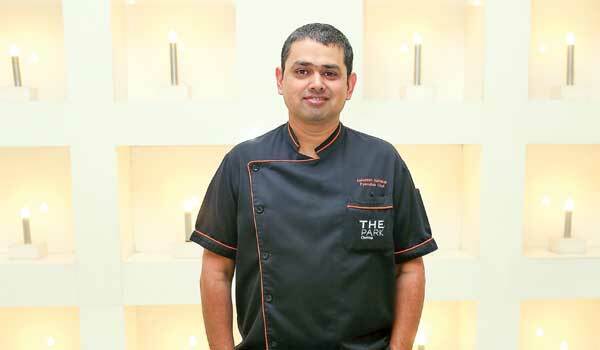 recalls Mahadevan A, one of the partners. 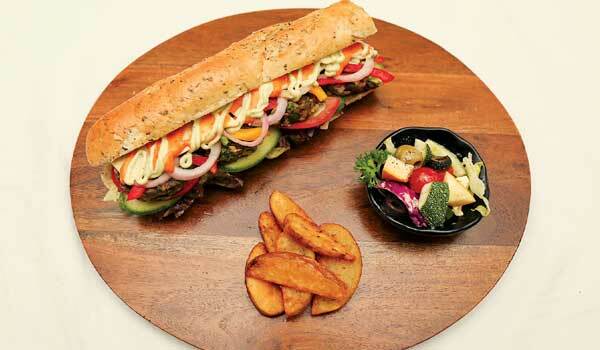 After two outlets in Bengaluru, ai?? ?Anna Nagar boysai??i?? as they call themselves ai??i?? Mahadevan, Niranjan P and G Kiran Kumar and sole girl in the group, Divya Pesala ai??i?? decided to buy over the Tamil Nadu franchise. The location, to begin with, was a no-brainer.Ai? ?The fact that the ice cream is made from scratch seems quite the opposite. That means blending ingredients, slathering them on a freeze pan, rolling and serving with every order. Also with three of their chocolate flavours out of stock, thereai??i? ?s no need to ask whatai??i? ?s in popular demand. We settle instead for a Strawberry Cheesecake flavour, aAi?? shade lighter than the pink on the walls. And then notice thereai??i? ?s a Christmas option of plum cake ice cream, which we order in glee, apart from sampling a must-try signature called Chocolate Karma. The latter is sort of a magic trick in motion. You get a tray with a chocolate ball around the size that Dwayne Bravo could bowl with at the IPL. Seconds later, after a drizzle of warm chocolate sauce ai??i?? it disappears ai??i??Ai? ?revealing a hidden brownie. Crunchy with bits of churro crumbs, it is paired with classic vanilla, and can be quite addictive. from China, Thailand, Japan, Indonesia, Myanmar and Malaysia has opened up their second outlet a Phoenix MarketCity, Velachery. Details: 33999610/66650210. Usher in the New Year at FeathersAi?? with a flavour rush. At Waterside, the all-day dining space, dive into an elaborate spread of global cuisine with an open bar. Then move on to Umami, the hotelai??i? ?s specialty restaurant for offerings from delectable kebabs and biriyani from a live Pan Indian kitchen. Details: 66776969. 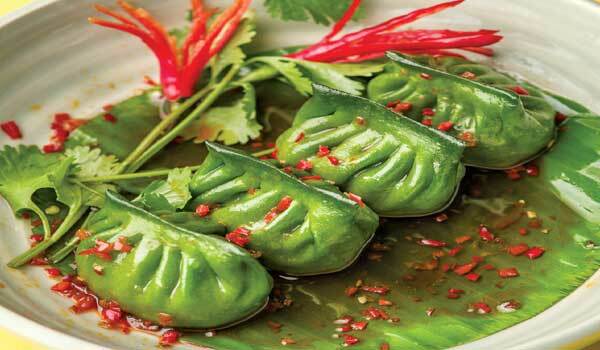 Feast on cuisines like Asian, Spanish,Ai?? British, French, Egyptian and German, among a range of others at the Hilton this New Yearai??i? ?s eve. This is across the restaurants Vascoai??i? ?s, Ayna and Vintage Bank. Price per head Rs 3,999 plus taxes, Rs 7,999Ai?? plus taxes for a couple. Details: 2225555. Thereai??i??sAi?? more to sneakers than just sports and shoe designers world over concur. Ditch the uncomfortable stiletto and pencil heels for comfortable party trainers this year. From the sleek and metallic to the quirky, we tell you what to pick. With a concealed 50mm wedge heel and a bouncy leather sole, these suede Bobby sneakers from Isabel Marant work well for a party, doubling up as a great travel accessory. The velvety burgundy suede fabric with tonal laces makes this a perfect accompaniment to a pair of skinny jeans. Rs 43,700 approximately. These Mercer sneakers from Marc Jacobs, made of durable canvas and elastic side panels, are easy to slip on and off. Embellished with quirky embroidered patches, faux pearls and a mix of studs, this pair exudes retro. Rs 33,900 approximately at DLF Emporio, New Delhi. Details: 9999997070. This Italian-made pair uses metallic mesh with skinny black lace detail. Set on a soft rubber sole, these sneakers feature black and silver crystals. Team it with a full black ensemble to let the shoes do the talking. Rs 47,250 approximately on nordstrom.com. zipper at the side, slender heels and a pointed toe, with a logo-embossed tongue to add. Available for Rs 44,750 on order at the Puma Store, Alwarpet. Details: 45534297. These two-strap sneakers from Giuseppe Zanotti with its glossy patent leather and midnight blue velvet panels are a must-have this season. With gold-toned panels and zipping, this one is built for the party circuit. Rs 59,5600 approximately.Ai? ?Details: giuseppezanottidesign.com. These leather trainers from Burberry are a fitting homage to the trench coat. These comfy Italian-made pair, with a calf and sheep leather lining is complete with metal stud accents. A party wardrobe essential, they promise to keep you on the dance floor till the wee hours. Rs 38,000 approximately at their store at Select Citywalk Mall, New Delhi. Details: 011 41437610.
comfortable leather lining, this round-toed pair makes for a quirky party choice. Best paired with a pair of black hot pants. Rs 29,350 approximately. Details: polyvore.com. rubber soles ensure maximum comfort, with a blue embroidered lace design at the back making for a quirk addition.Ai? ?Rs 47,250 approximately at DLF Emporio, New Delhi. Details: 01146471111.
comfortable features. The pair is complete with signature Vans waffle thread, their iconic side stripe in white and a Vans ai?? ?Off the Wallai??i?? license plate to the heel. Rs 3,500 approximately. Details: coggles.com.